Our range of products include filter coffee powder, roasted coffee beans and coffee stirrers. We are prominant suppliers of outstanding quality of Filter Coffee Powder. Our premium filter coffee powder comprises Commercial Blend Filter Coffee, Domestic Blend Filter Coffee and Hotel Blend Filter Coffee. 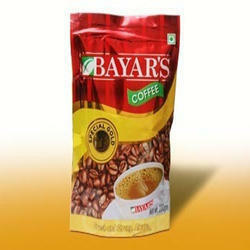 The filter coffee powder offered by us adheres to the coffee culture of South India. Benefit Optimum purity, Long shelf life etc. We are leading exporter for the high quality Roasted Coffee Beans. We source our roasted coffee beans from most trusted vendors, who use most scientific cultivation methods. The raw coffee beans are roasted to perfect body texture using correct temperature. We have the requisite machines and roasting paraphernalia to arrive at the correct standard. The roasted coffee beans comprise the essential flavor, taste and aroma that makes coffee drinking a pleasure. 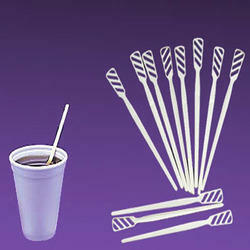 Leveraging on our capacious warehouse, we are able to store a huge quantity of Coffee Stirrers. All the offered products are sourced from the authorized manufacturers of the market, who make use of quality material to manufacture these. Our products are designed in accordance with international quality norms and standards as well as are available in different sizes and colors.